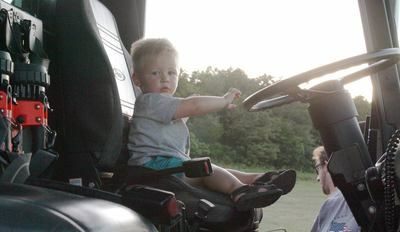 Henry Newton, 2, checks out the drivers seat of a fire engine at the Independence Fair on Wednesday, July 4. 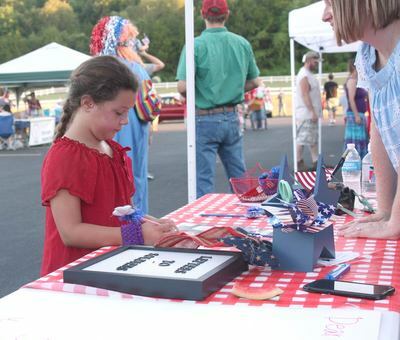 A patriotic decorated bike parade was held at the First Baptist Church, Crane, Independence Fair. 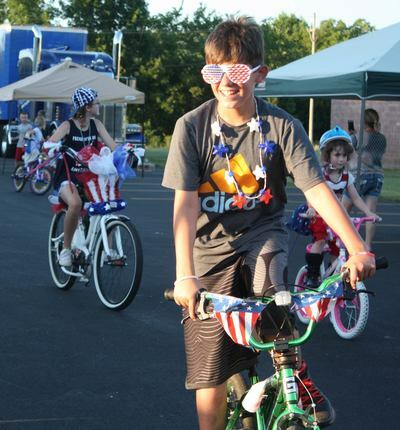 The Crane First Baptist Independence Fair included the annual decorated bike parade. Pictured above are only a few of the about 20 bikes that participated in the event. 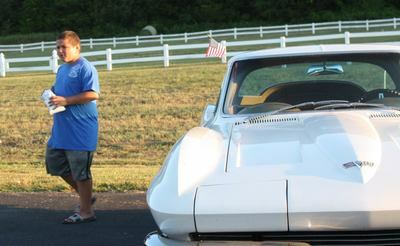 Noah Rodirgez, 9, checks out some of the cars at the car show held during the Crane First Baptist Church Independence Fair on July 4. 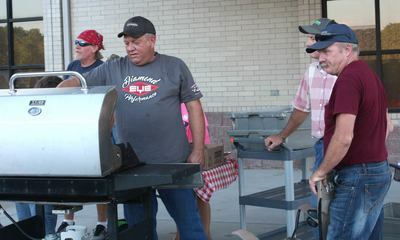 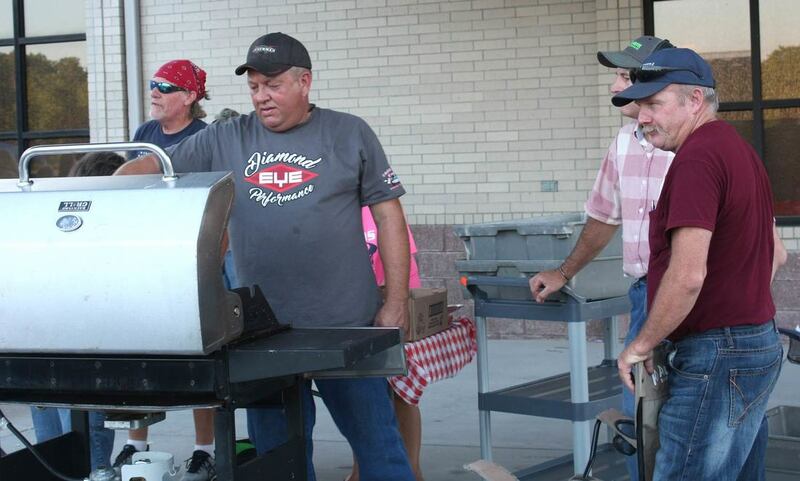 Jim Greenway, left, mans the grill at the Independence Fair, while Jeff Scroggins, center, and James King, far right, keep him company. 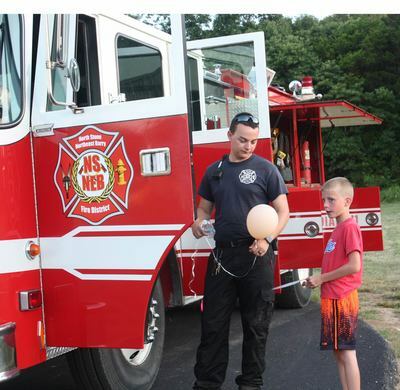 Members of the North Stone Northeast Barry Fire District and the Crane Fire Department brought their trucks out to the First Baptist Church Independence Fair on the Fourth of July. Pictured above, Blake Janeczko, left, talks to Keith Newton, 8, about the fire engine. Alex Sojak, 7 (left) writes a letter to the troops while Morgan Chapman (right) helps. 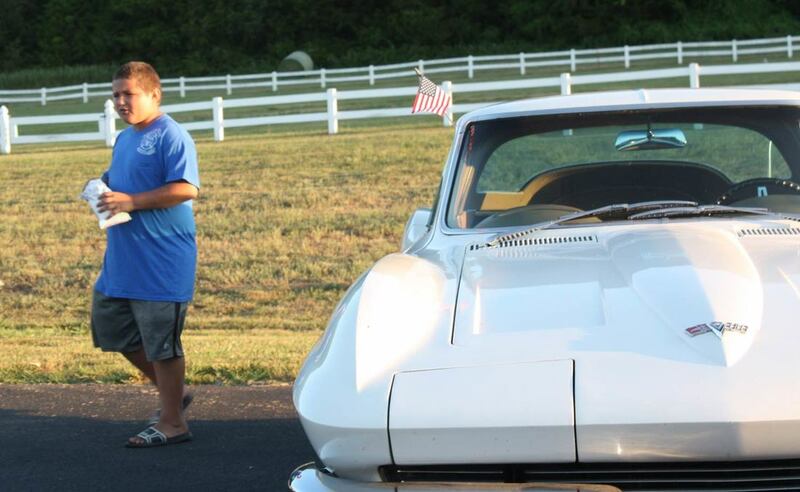 *Note: click on any image to enlarge and remove caption overlay.